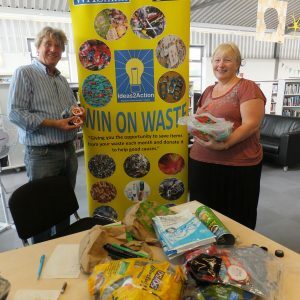 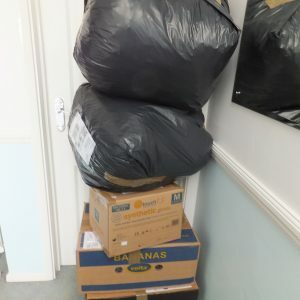 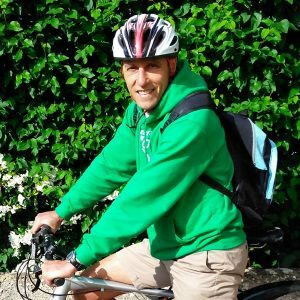 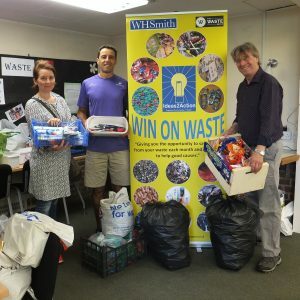 Hamworthy Win on Waste sessions have now restarted thanks to Paula, one of Ambassadors who will be running the monthly sessions on the first Saturday of the month at Hamworthy Library between 11-12. 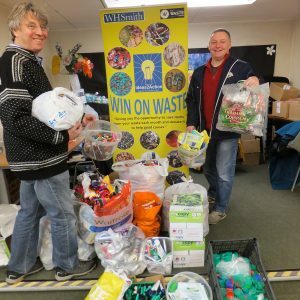 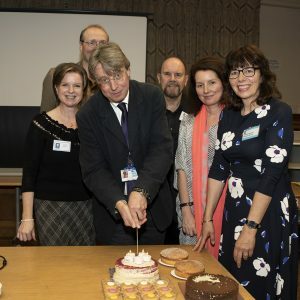 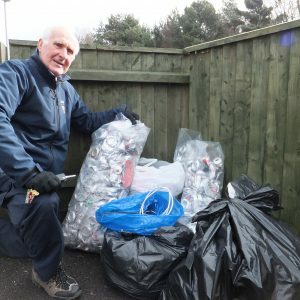 Thanks to a grant from the Tesco Community Awards we ran our third Win on Waste project in Poole in Hamworthy East during September, October and November 2015. 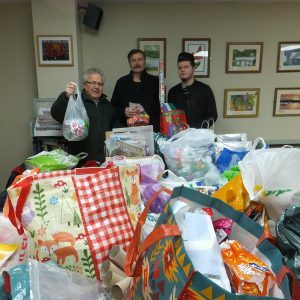 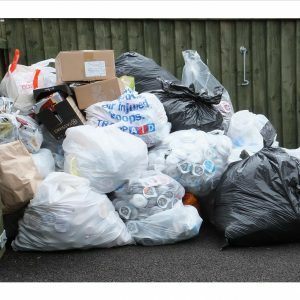 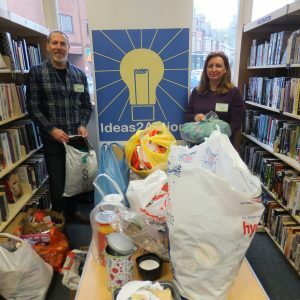 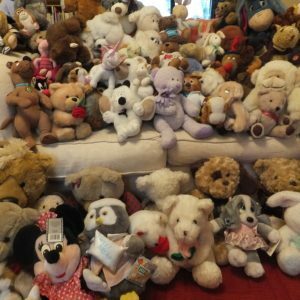 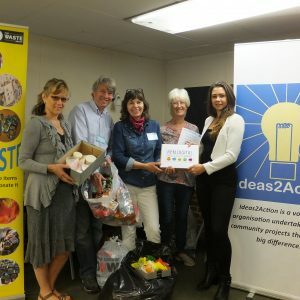 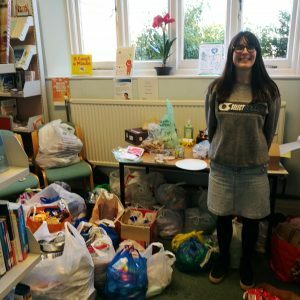 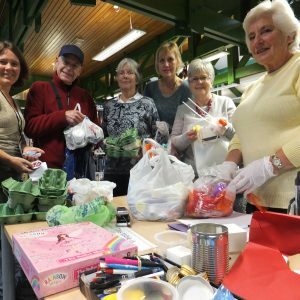 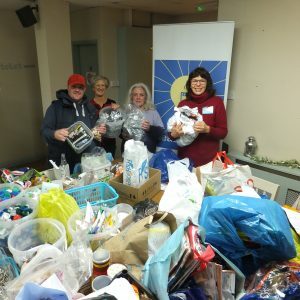 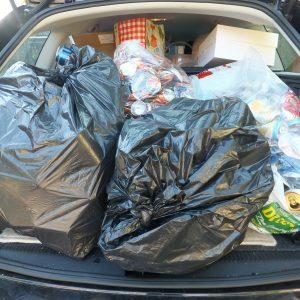 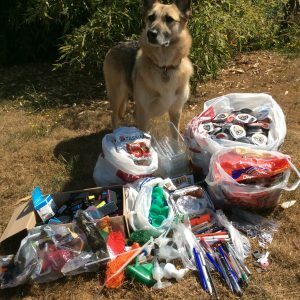 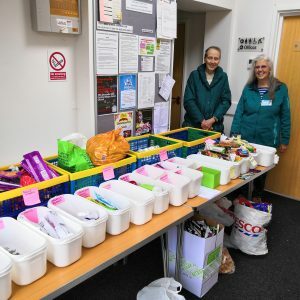 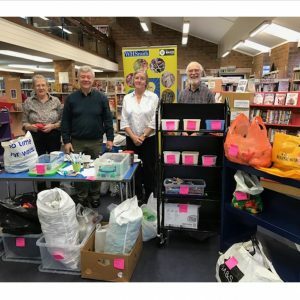 Local residents had the opportunity to save certain items from their waste and donate it on the last Saturday of the month. 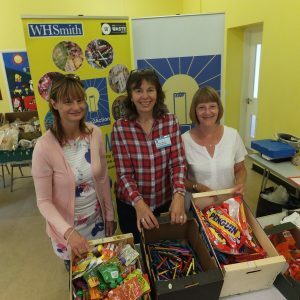 The person or family collecting the most and a runner up received a prize. 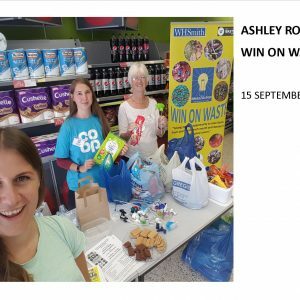 We’d like to thank the Co-op, Natasha Clark Hair & Beauty, Cornucopia, The Gift Box, Flash Harry’s and Frank Greenslade Ltd for the prizes. 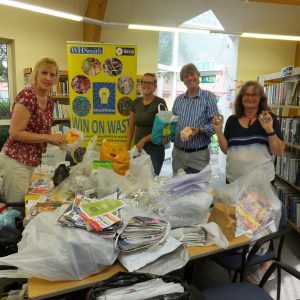 Approximately 360 cardboard tubes and yoghurt pots were donated on Saturday 26 September at Hamworthy Library. 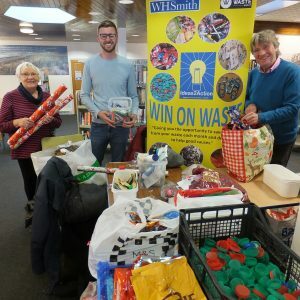 The winner was Gillian Tyler and the runner up Katie Elliot. 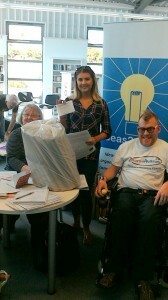 Gillian’s daughter is pictured holding her Mum’s prize along with Solveig Warren (Ideas2Action) and Simon Shave (Diverse Abilities). 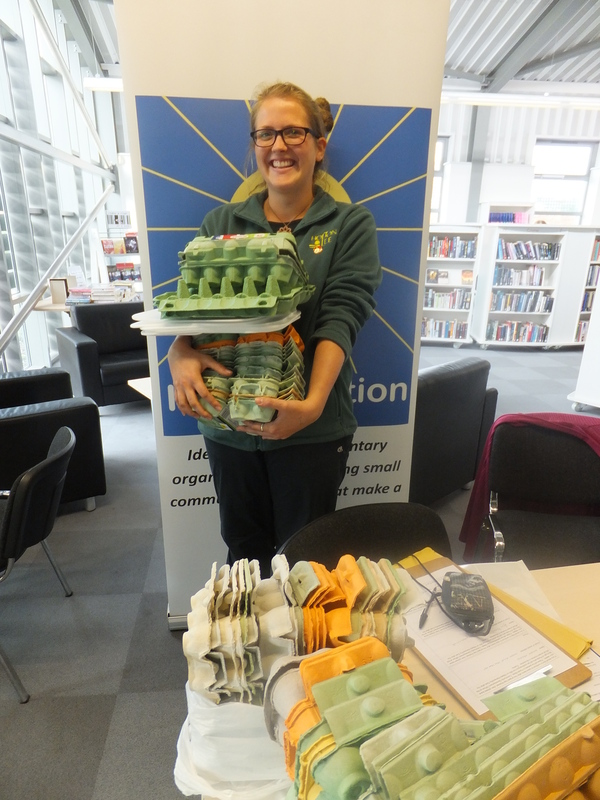 A total of 110 egg boxes and 7 pizza bases were donated to local charity, Holton Lee at Hamworthy Library on Saturday 31 October. 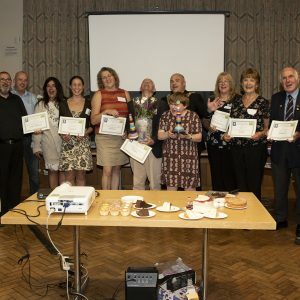 The person who brought along the most was Jill Peace and the runner up was Gail Angell. Here’s Katrina Easthope with some of the egg boxes…. 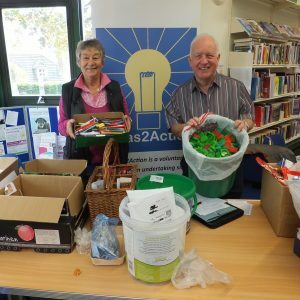 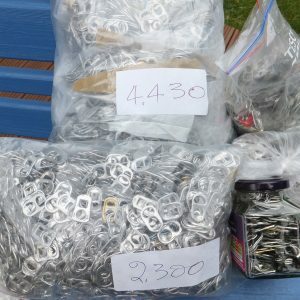 The last month of the project brought in a massive 385 items on Saturday 28 November. 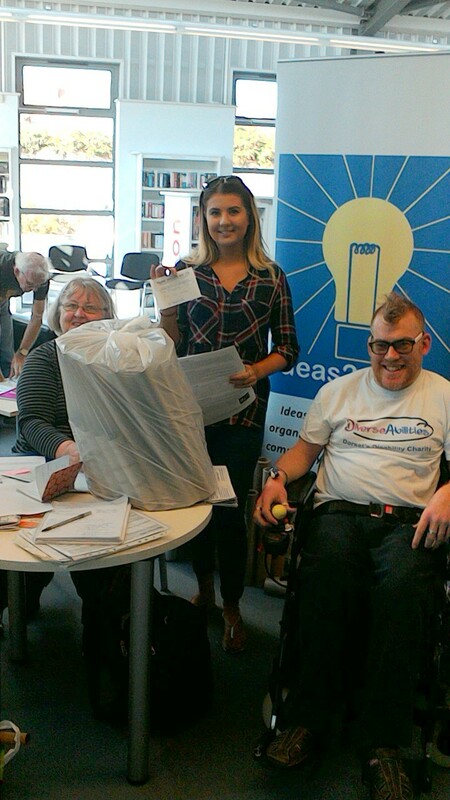 Well done to Natasha Stanley who donated the most and to Tanya Elston, the runner up. 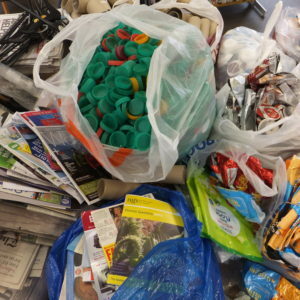 Items donated included aerosol can tops, very small cardboard boxes, yoghurt pots and cardboard rings. 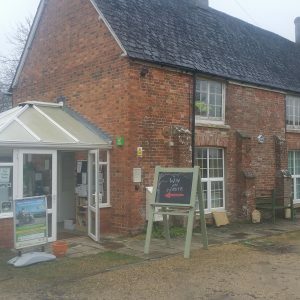 All the items will be used by The Get-Togethers craft group based on Turlin Moor. 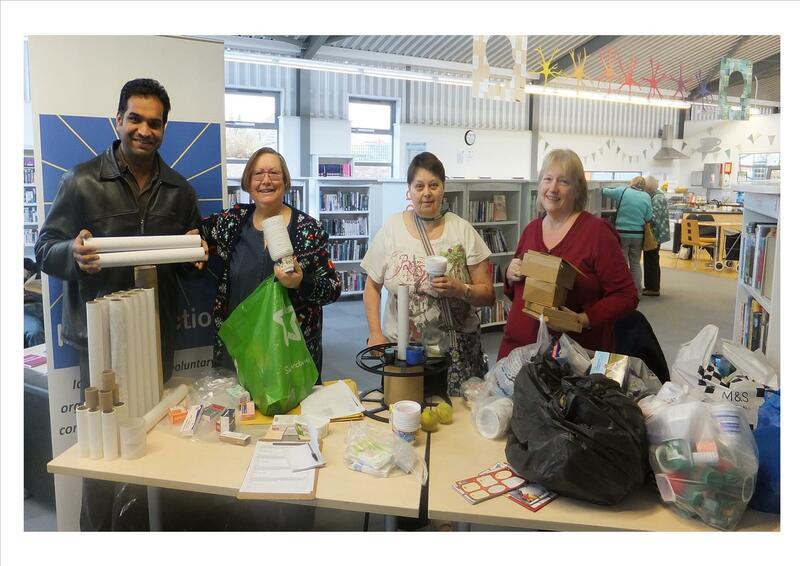 They were also pleased to receive 25 solid cardboard tubes brought along by Cllr Vishal Gupta from Bell Plastics. 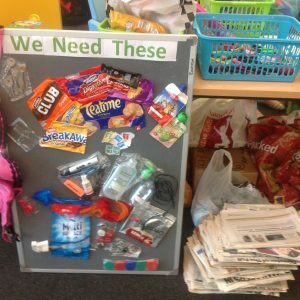 Bell Plastics are also donating wooden pallets to charity Holton Lee.